New patients will want to get to know you and your practice before coming in for dental work. 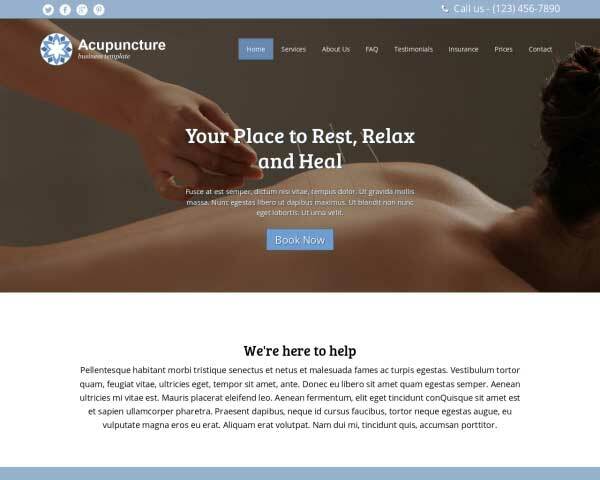 With the Dental WordPress theme, you can create a professional and informative website for your dental office just by replacing the text and photos on pages pre-configured to beautifully present your services. The Dentist WordPress theme offers dental professionals an easy and affordable way to attract new patients online. 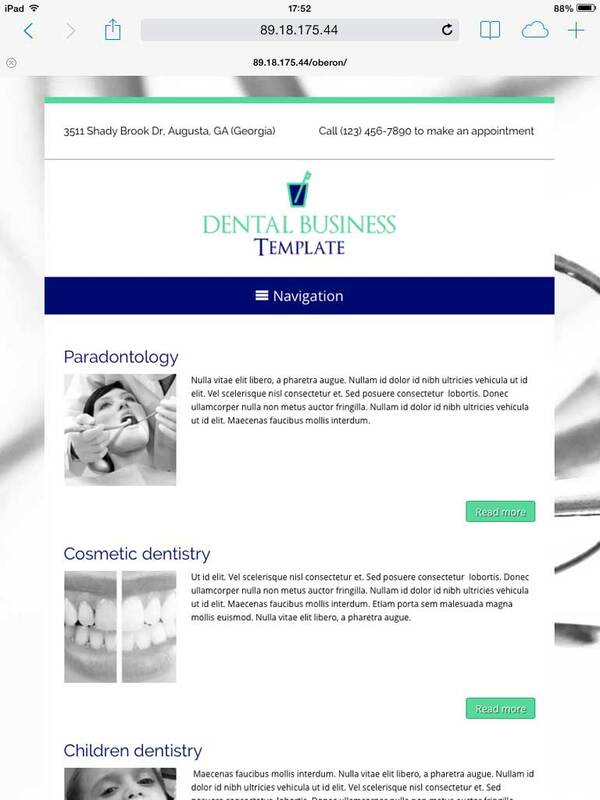 We've built this website template for dentists who want to present their services in a clean, neatly designed layout together with informative service detail pages, a blog for tips and articles, a virtual office tour and even online new patient registration. Everything from the color scheme to contact forms and page layouts can be customized without any coding at all using our visual front-end editor. You'll be able to give your website a custom look and feel and keep it updated with the latest information even if you've never built a website before! 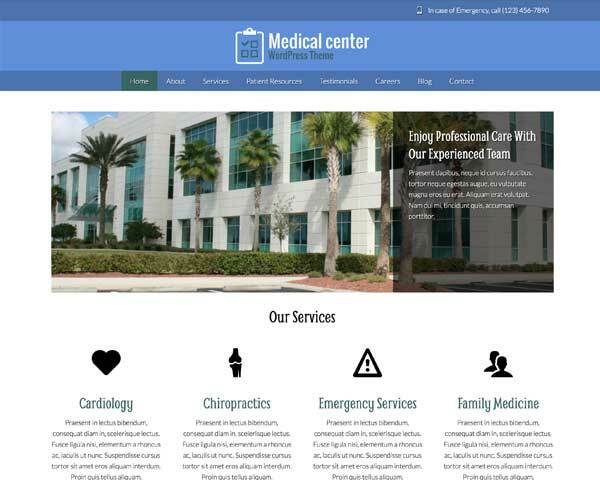 This premium WordPress theme for dental offices includes integrated social media options, a built-in SEO manager, responsive design and many more powerful features that would normally require complicated coding or searching for plugins. The Dental WordPress theme is a smart solution that saves you time and money in creating a professional website for your dental office. 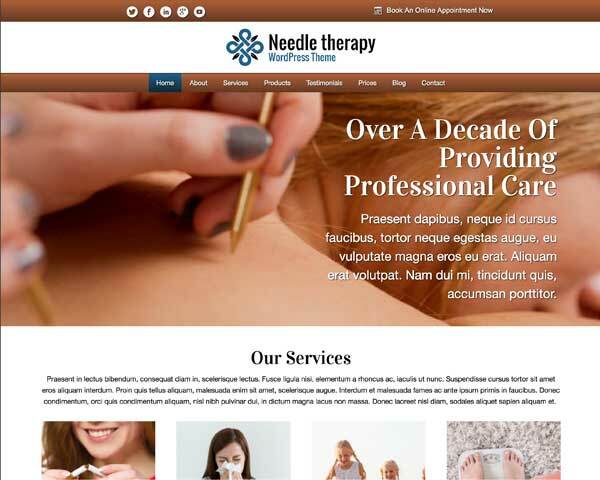 The Dental WordPress Theme is built on the WordPress platform, so blog comes standard. Still a major staple of web marketing the blog can both be used to engage guests and boost your rankings. The Dental WordPress Theme includes built-in contact forms for new patient registration and prescription refill requests. Customize the form fields to suit your needs. 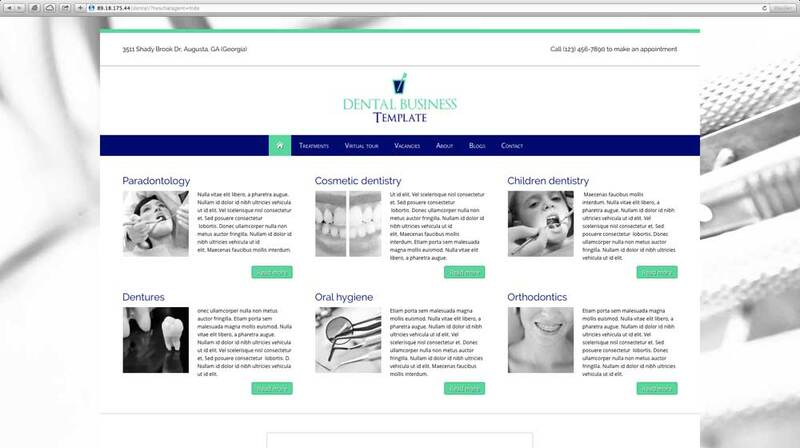 Before designing the Dental WordPress Theme we conducted indepth research to learn the needs of dentists. 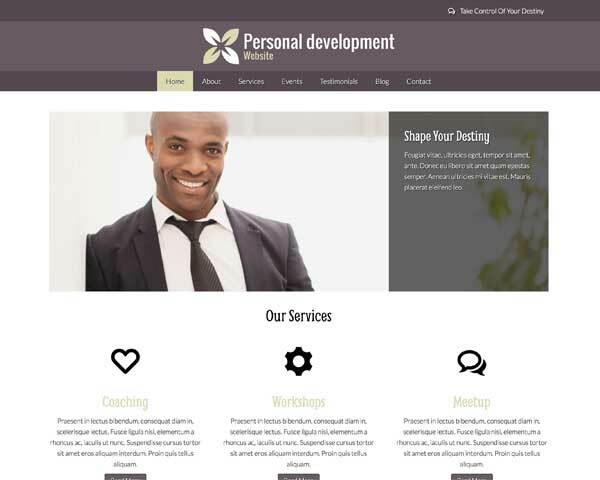 This way, you can be confident that the theme suits your needs. 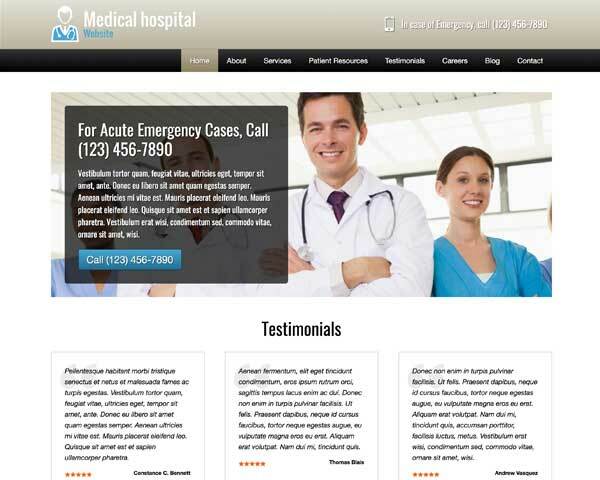 Improve customer expectations with the Dental WordPress Theme. It helps increase contact inquiries with via the built-in contact form. We've built the Dental WordPress Theme with a clean, modern design that allows your expertly written content to be the focus of your website. Showcase your photos on the Dental WordPress Theme with two-, three- or four-column image galleries. Clicking on a thumbnail opens the photo in an elegant lightbox slideshow. We've set up the Dental WordPress Theme with pages for details about each of your services and business solutions to help get your website online fast. 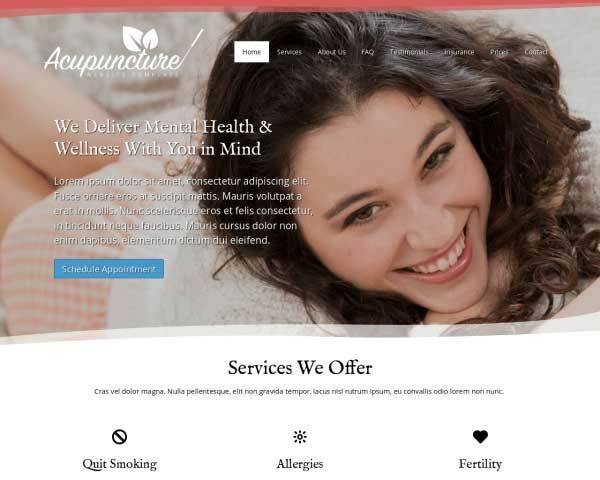 The Dental WordPress Theme allows you to attract more customers with the theme's pre-built service pages, you get all of this in an easy to use template. Leverage the marketing strengths of social media using the integrated links to your social channels. Use widgets to display a Twitter feed or Facebook like wall on any page. 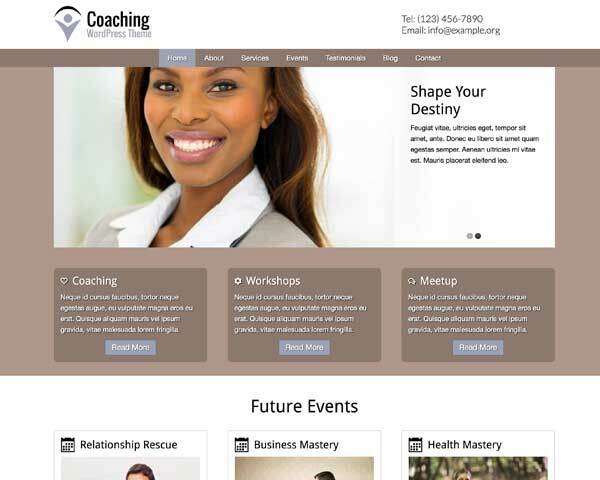 Share a bit of information about your company, using the about page and introduce your team with a photo and short bio. 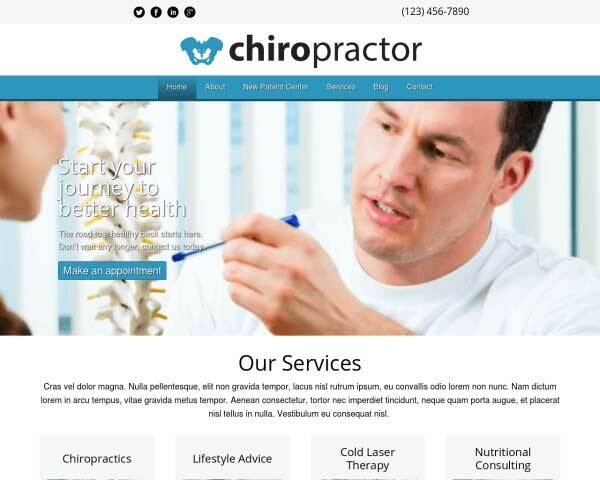 The Dental WordPress Theme makes it easy! On the Open Call page of the Dental WordPress Theme, you can list exactly what you're looking for and offer instructions on how to get in touch. 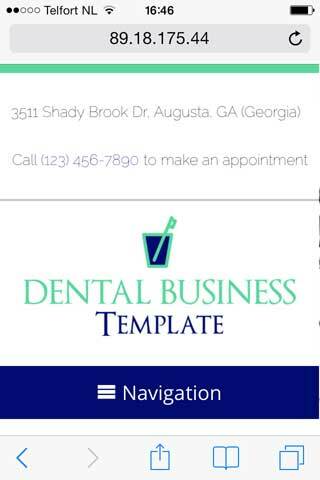 Visitors to your dental practice website will use all types of browsers and handheld devices to view your pages. 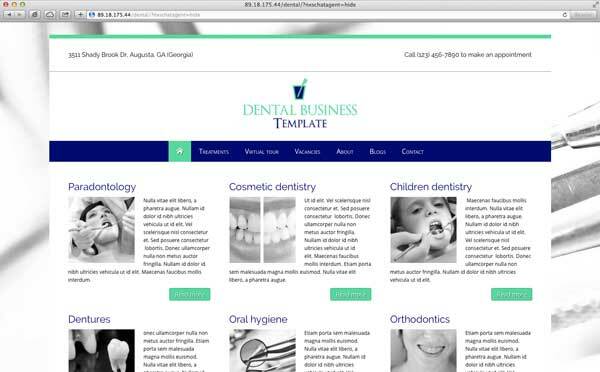 Make sure that your website makes a great impression at every screen size with the responsive Dental WordPress theme. Its mobile-optimized design adjusts the layout of your text and photos to display neatly and work perfectly on all smartphones and tablets. No extra coding or plugins are required! Mobile visitors will enjoy the added convenience of simply tapping your phone number to dial or tapping your email to send a message.